Prepare cake cases (This recipe should make 24 cakes; I use silicone cake cases). Break up the shredded wheat in a separate bowl (there shouldn’t be any clumps, just lots of tiny sticks). Melt the margarine and the syrup (I do it in a heat proof bowl in the microwave, it takes about a minute). While you are doing this, measure out the cocoa powder and icing sugar (you can sieve it so that there are no clumps later). Mix in the melted margarine and syrup and stir until the mixture has thickened slightly, is smooth, with no lumps. Add the shredded wheat and stir until all the tiny ‘sticks’ of wheat are covered with chocolate. Spoon the chocolate mixture into cake cases and make a slight dip in the middle (so it looks a little more like a nest). 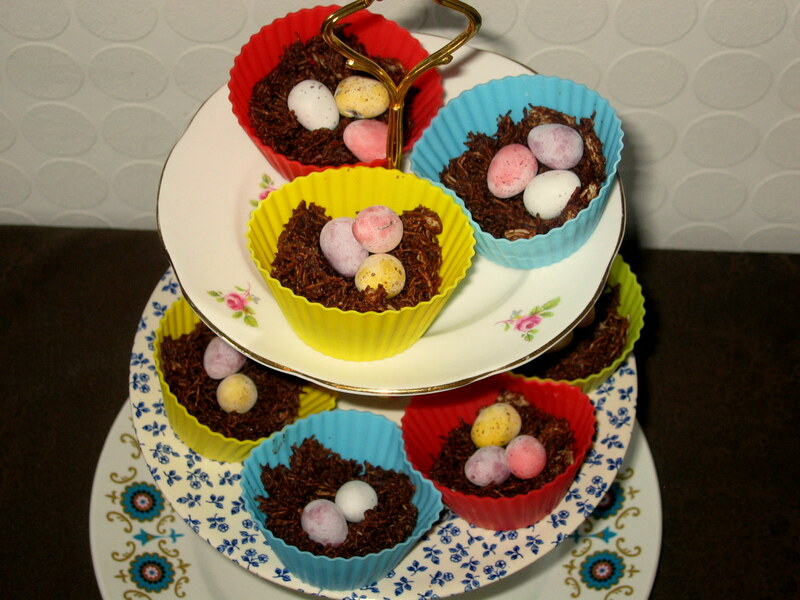 Place 2-3 chocolate eggs in the middle of each ‘nest’. Leave to set (it won’t take very long), then enjoy! I won’t post the recipe as it is very long winded, a real labour of love. 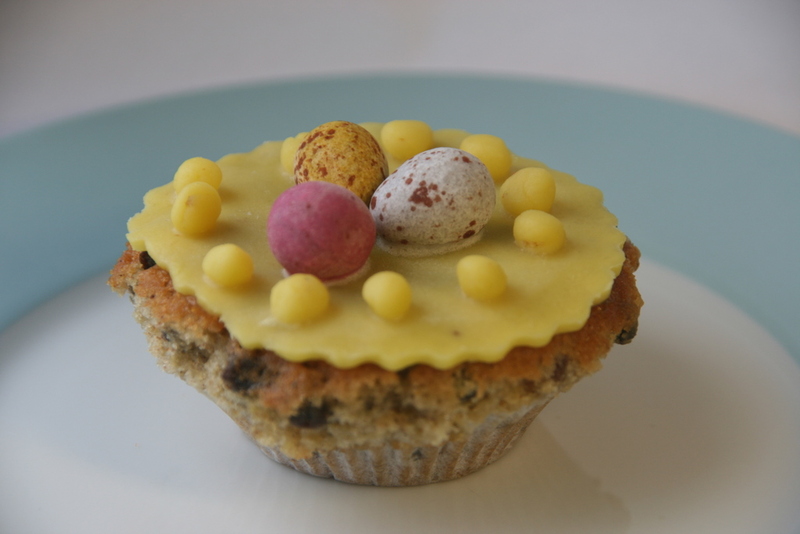 It is a variation of an Easter Cake but mini. It is my husbands favourite cake, but unfortunately as it is so time consuming, he only gets it once a year. Still it is very yummy and well worth the time and effort!